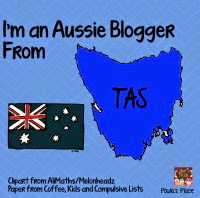 I am so lucky this week to be able to participate in this Aussie bloggers product swap not only because I love trying new things in my class but I got to swap with one of my blogging buddies Shanyn from Coffee, Kids and Compulsive lists. Why did I choose this pack? 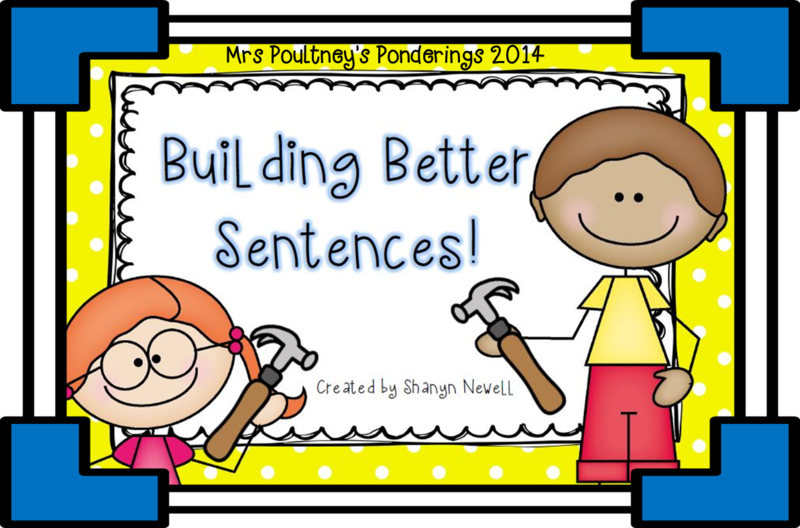 I have been banging on at my kiddos about boring, blah sentences and ways we can make our simple sentences more interesting....tadah!!! Enter Building Better Sentences, perfect! 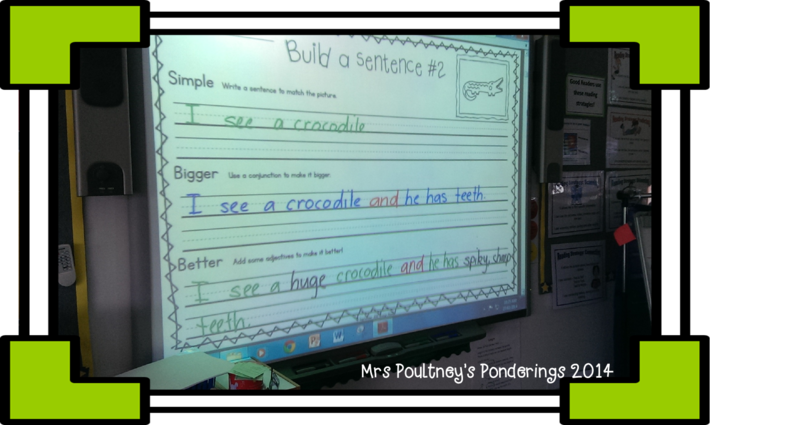 First I modelled on the Interactive Board one sentence with help from my students. 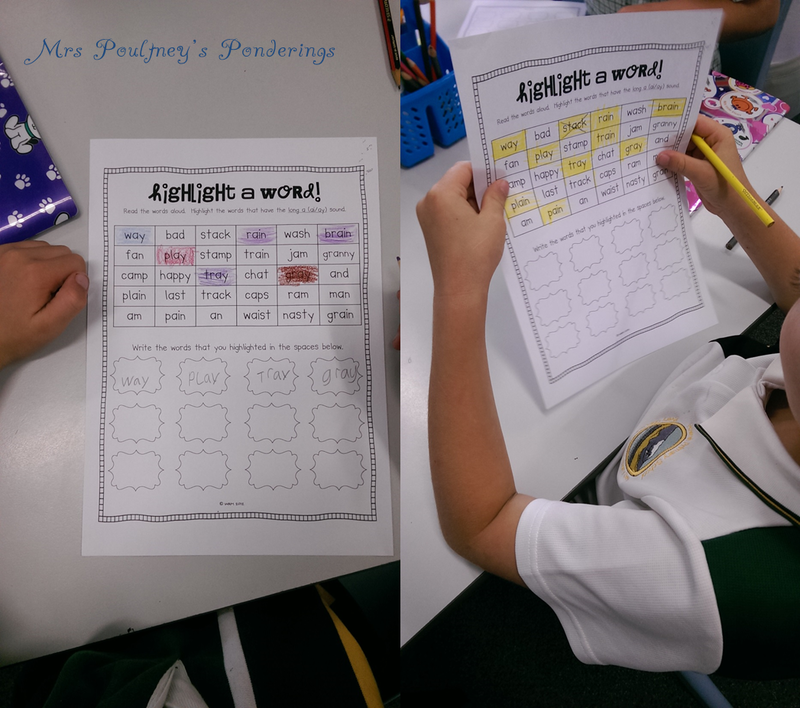 The week before we had identified conjunctions and adjectives so that we knew what words we had to use to improve our sentences. Next the kiddos had a go at their own sentence. Then I went through all of the sentences and identified those kiddos that may have needed a little extra help in a small group. Which is what we did the next day! Those kiddos that had understood the concept were able to complete another sheet independently while I worked with a group on the carpet. Next week we will be having another go to see if the concept has been retained. More importantly I am hoping to see an improvement in their independent sentences! It was easy to model to a whole class. There is a huge variety of pictures in the pack and I noticed they are in a-z order so it would be a great addition to a phonics program. 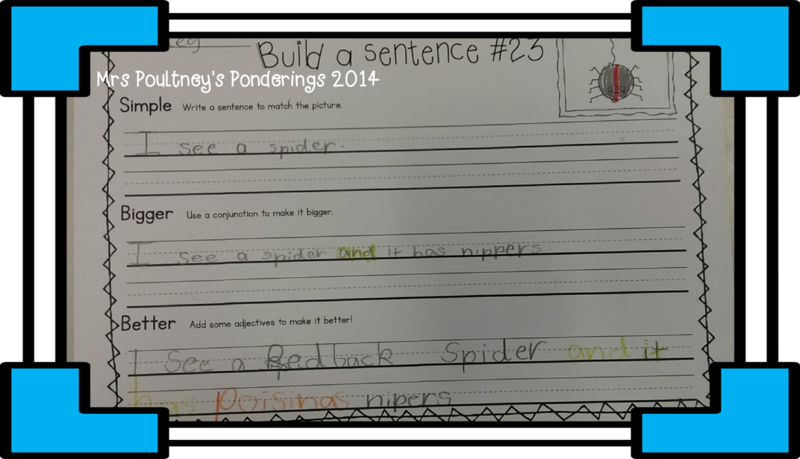 It is a great addition to my grammar program and once the kiddos were familiar with it most of them were able to do it independently. I could quickly identify the kiddos who were struggling. All in all, this is an awesome file that will be visited frequently in my class both as a focussed lesson and as a part of a literacy center. Now the title of this post also has the word Share in it so let's get on to the sharing bit. Easter is just around the corner so I am putting my Easter game Coin Toss Easter Bunny Hop FREE so hop over and get your FREE copy. So what are you waiting for, click on the pic above to get your copy of Shanyn's fabulous pack or enter the Rafflecopters below for your chance to win your very own copy as well as prizes from other great Aussie bloggers! Just click on the button at the top to head over to Lauren's blog Love, Laughter and Learning in Prep to find more awesome bloggers with their reviews on some fabulous products. I have missed the last couple of weeks linking up with Doodlebugs so I made sure this week I had some great (well....) photos taken to use in this post. 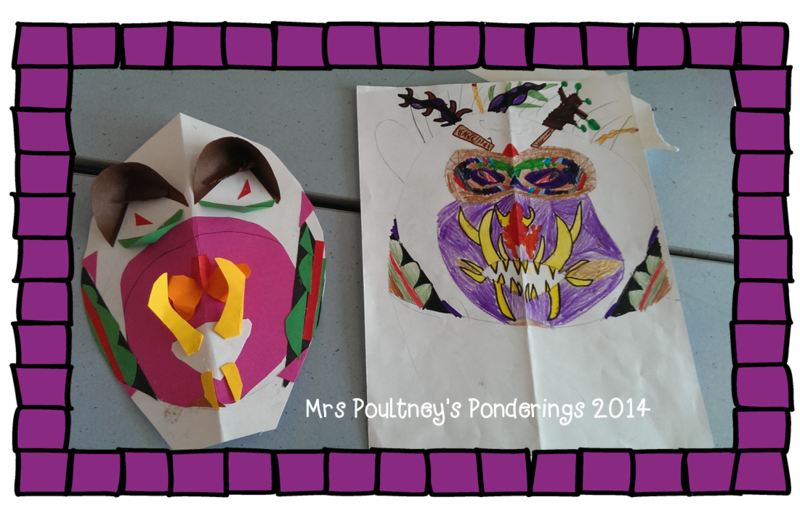 We created some African inspired masks in Year 4, you can read about how we did it here. 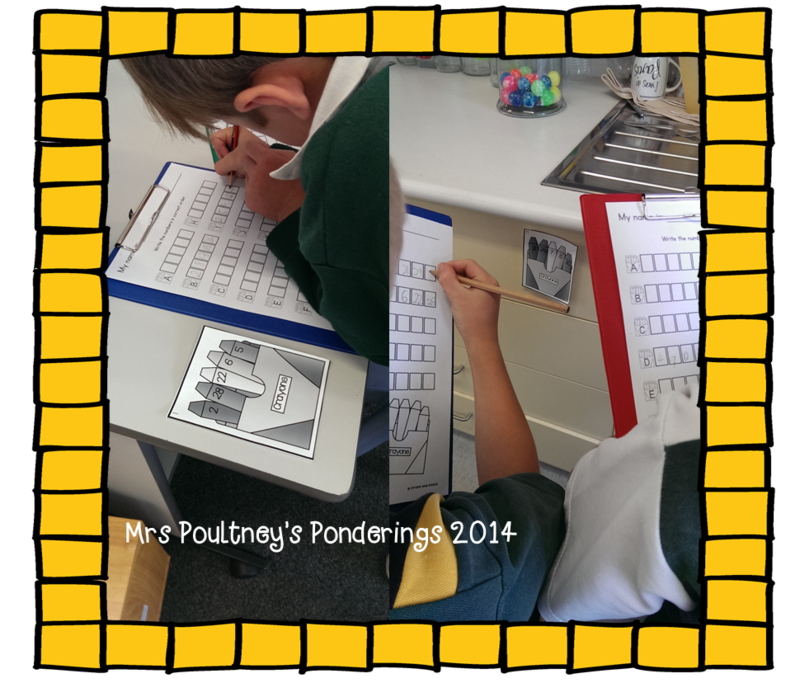 We used Mel's pack Back to School Maths Centers for a read the room of numbers in order to 30. My kiddos love doing read the room, it gets them up and moving and sometimes they even co-operate!! Notice the cards are printed in grayscale, that is NOT how they are in the pack, they were supposed to be color but it just didn't happen on the day......clearly the important thing here is ordering numbers. Rest assured they are now printed in colour and laminated ready for next time. At the end of the week we started looking at maps. The kiddos had to make a map of our classroom and create a key or legend to go with it, we also talked about what a birds eye view was and thinking about directions. Most of them came out quite well, some were a bit wonky. This is a quick post that I was going to do earlier in the week......but life got in the way as it does sometimes. 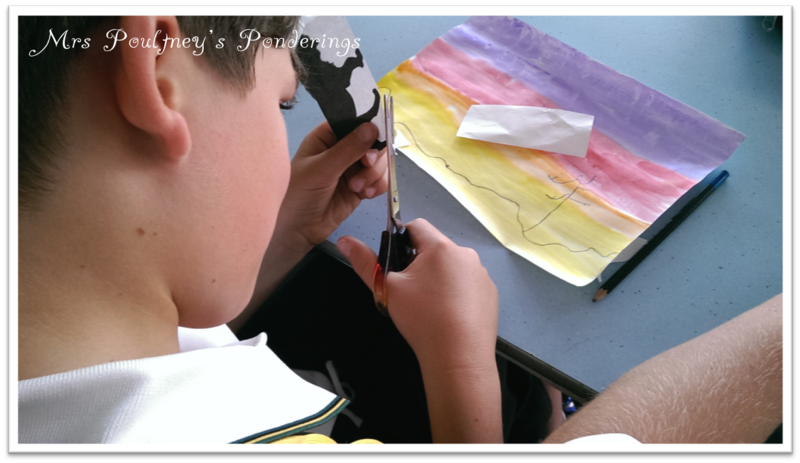 I have mentioned before that on Tuesdays I take a Year 4 class in the afternoons for Art. This is an interesting time for me as I usually teach up to Grade 3 and no further. So I have had to start to stretch my limits a little on what these kiddos can create. 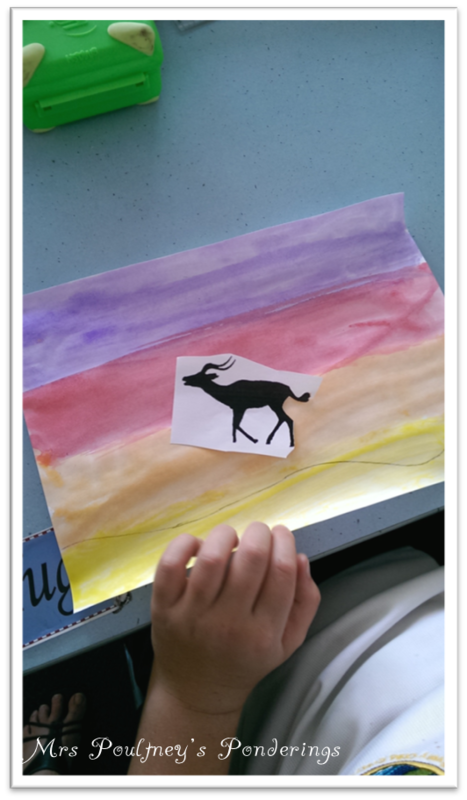 Their class is currently studying the great continents of Africa and South America, so I have tried to link our art activities in with what they are doing in class with their regular teacher. 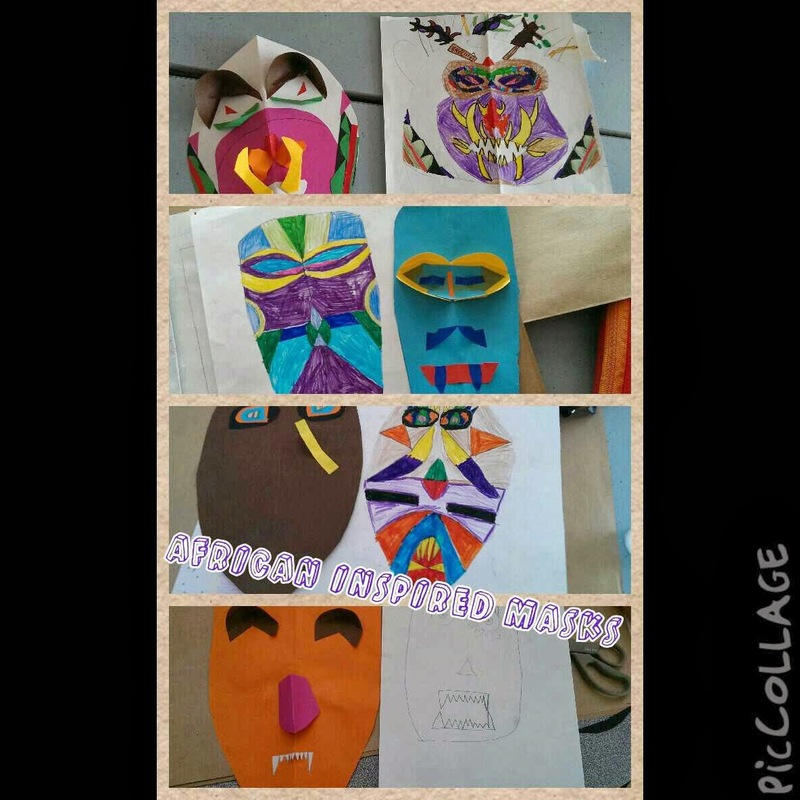 These are masks they have designed inspired by some pictures that we looked at of some tribal masks. They had to draw a plan first of what it would look like, then I showed them a few techniques to use with paper to create a 3D effect. They have crimped, quilled, folded and fringed! Although they are not completely finished yet I think they are looking fantastic! I am home today with a sick boy so am taking advantage of some couch time to update a couple of files that I have been meaning to finish. So the next book in the That Cat! 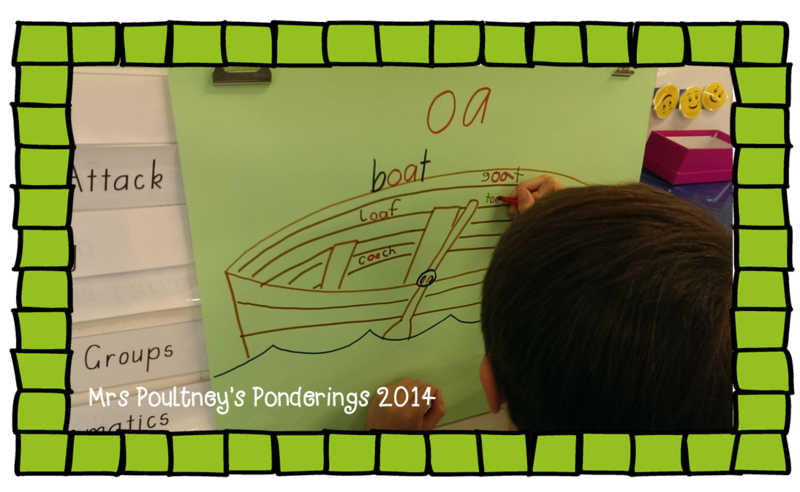 series has a focus on the "ap" blend as well as high frequency words here, is, a. 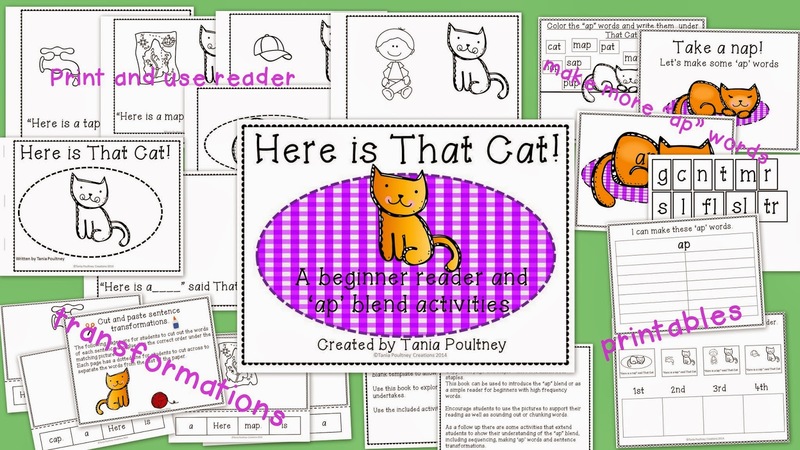 Each of the That Cat emergent reader packs includes printables, a hands on activity and a big book reader to print for the whole class. 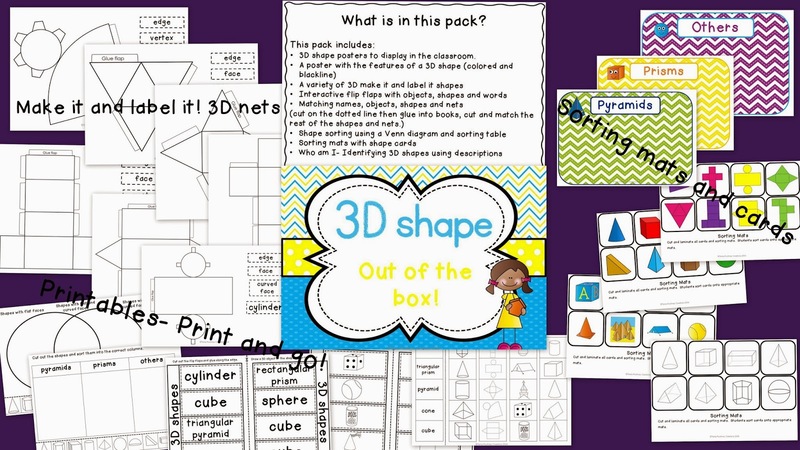 This pack also includes an interactive Powerpoint file to use on the Interactive Whiteboard for the whole class to read of on a computer. 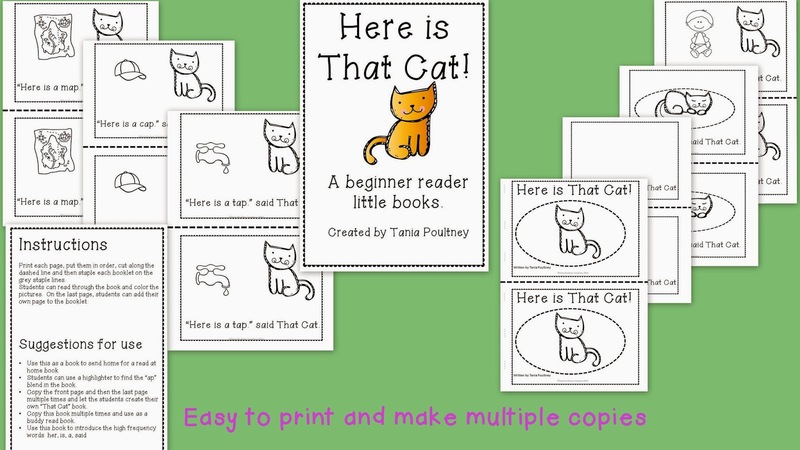 I have also included a copy of the book to make multiple copies of little books. I usually keep multiple copies in the classroom and also use them to send home as home readers. I hope you enjoy That Cat! as much as I do, just click on any of the pics to get your copy. 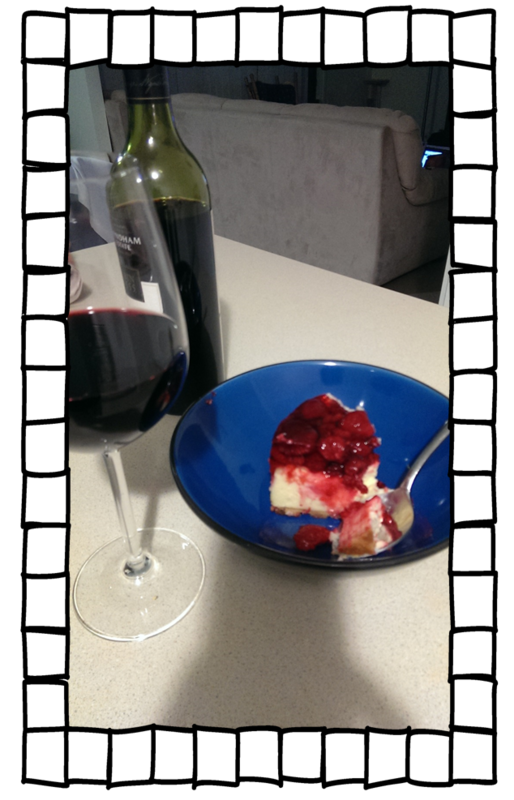 Good news it gives me an excuse to sit on the couch and blog! 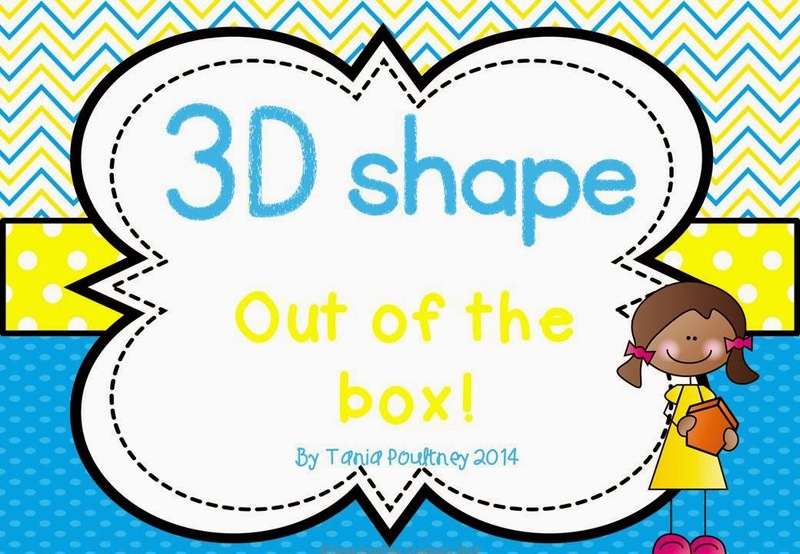 So here is my 3D shape pack I finished up, we have used some of it a couple of weeks ago in my Year 2 classroom and the kiddos just ate it up (but I forgot to take pics). So what do you get? 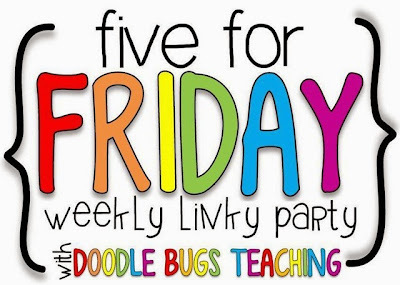 Posters, printables, interactive flip flap books, sorting cards and mats, make it and label it (my kids loved this activity) and more! For the next 24 hours it will be 50% off so just click on any of the pics above to get your copy now! I knew I wanted us to have a go! 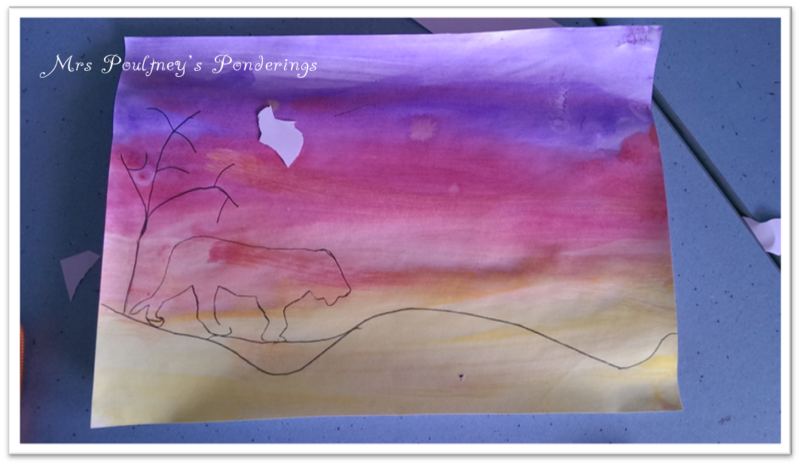 We started off by doing a wash last week using watercolor paints, we discussed the colors and why they would look like this at sunset. 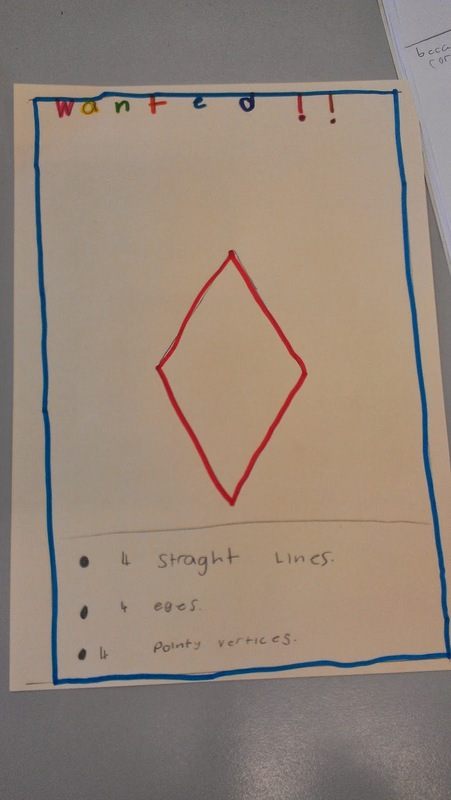 We spoke about how the colours would not look like they were in a uniform line but would "bleed" into each other. I will admit there were some "perfectionists" in this group that had a problem with that....they like straight lines, go figure! 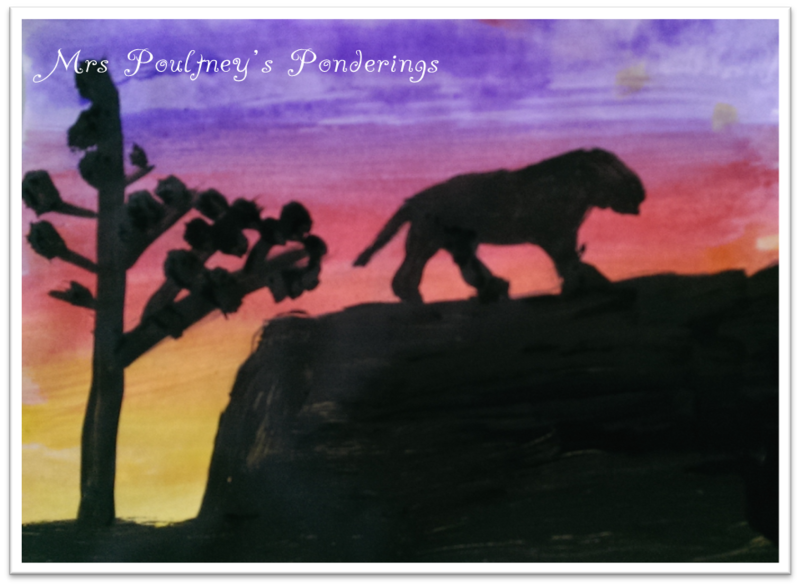 I gave the kiddos some printed silhouettes because the focus of this lesson was not on drawing the animals but rather on colour and shadow. After they had drawn in a horizon and an area for a tree, they had to oh so carefully cut out the silhouette.......people I won't lie to you an elephant lost a tail, a lion is now missing a paw and the ostrich.......well I think it is best if we don't go there at all. Needless to say precision cutting is a skill we will be brushing up on! Now the fun part! Painting! I put out a variety of different sized brushes and we talked about choosing an appropriate size for the different elements on the page. We also had a discussion about the art of stippling (technical term there) to make the leaves. Finally some of them wanted to add an embellishment to the top. 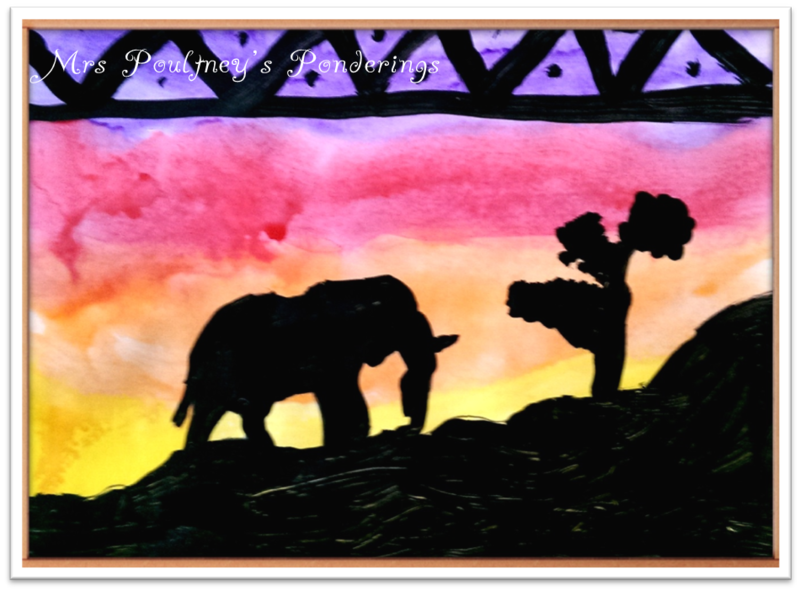 I love how the colours bleed in the background of this painting.....not sure what happened to the elephants trunk, perhaps he has a sinus problem. It is heartening to see he still has his tail, heehee. Well friends thanks for stopping by to take a look at our African inspired silhouttes! Next week African inspired 3D masks.....if we get them finished! 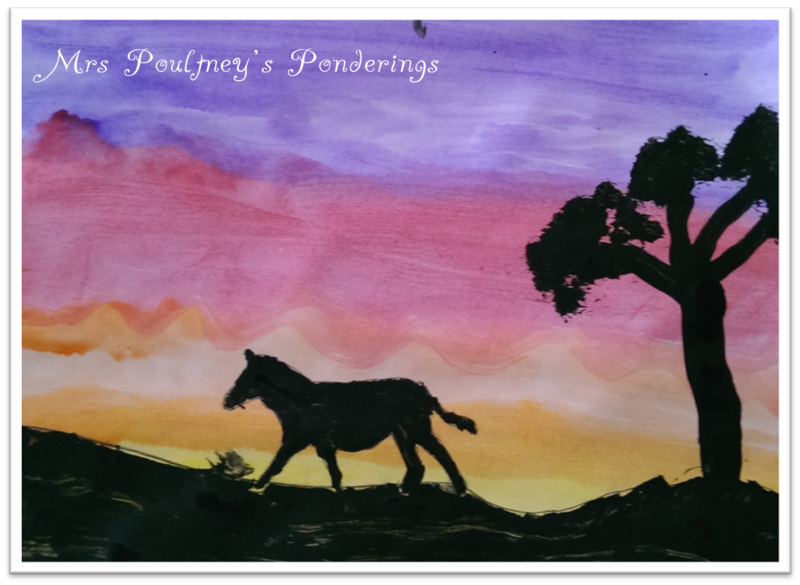 I have updated this post to link up with Mel at From the Pond for her Tuesday Art linky! Head over, link up! Oral language is an important development in children and a traditional way it has been supported in the classroom is through the good old Show and Tell, I am not ashamed to admit that I think Show and Tell is a snooze fest and there are better ways to do it. Here are some examples. I have used this in a variety of grade levels and kiddos eat it up! Essentially it works like this. I have about 5 cloth drawstring bags ( I made mine but you could easily recycle some you already have) The kiddos take the bag home the day before their rostered day for Show and Tell and put something in the bag. There is also a sheet in there for them to write down 3-5 clues about there object. I encourage the parents to talk to their child about what clues they could give. When they come into school, they give their clues and the other students are allowed to guess, once the guess is done the child can then give extra information. To keep things interesting I will often send home a list to the parents with topics we will be discussing in the classroom each week, this way the object in the Mystery bag can be used to generate whole classroom discussion as well. 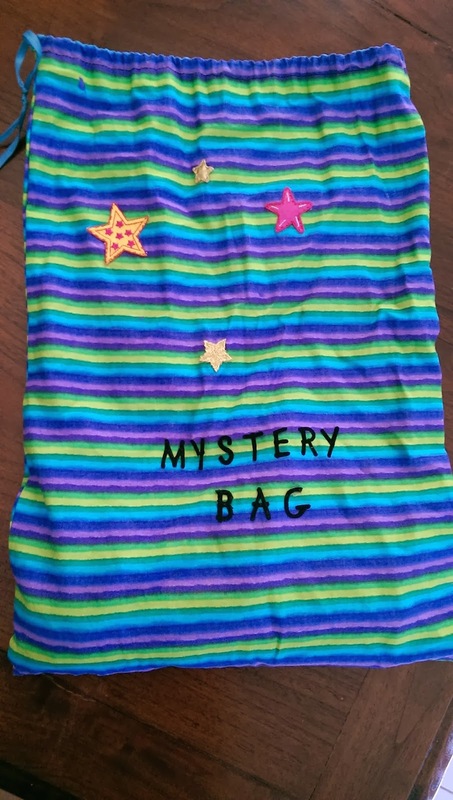 PS You can also make a mystery bag from a pillowcase. A Topic book is really just a scrap book that on each page has a different topic. Children can take the Topic Book home and then add information to a page of their choice through drawing, writing, adding photographs whatever they think they can add to talk about a particular topic. You could have a few Topic books going home or just roster one per child per day, your choice. 3. Whole class Show and Tell. This method has Show and Tell on one day for all students. Students sit in two concentric circles so that each student is facing another student (if you have one student leftover you can group a couple of students). Choose one circle that will be moving in a clockwise direction, then put a time limit on how long each child gets to talk ( you have to or it takes forever!!!) This method means that one half of the class gets to share with multiple students in a semi one on one fashion. 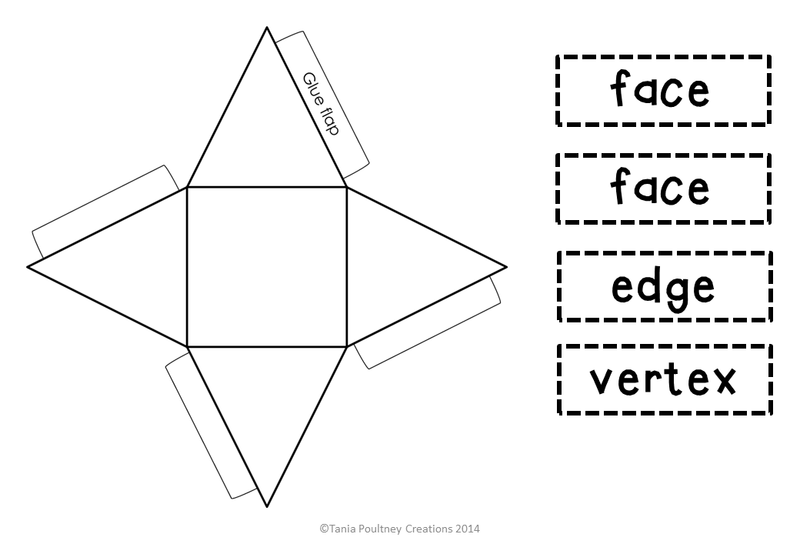 Again you can make this free choice or set a topic for each week. 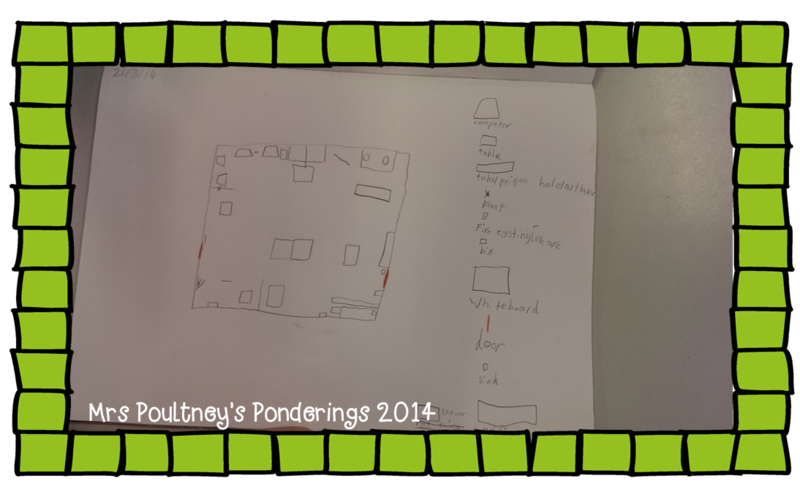 In our class we relate it to our unit that we are investigating. 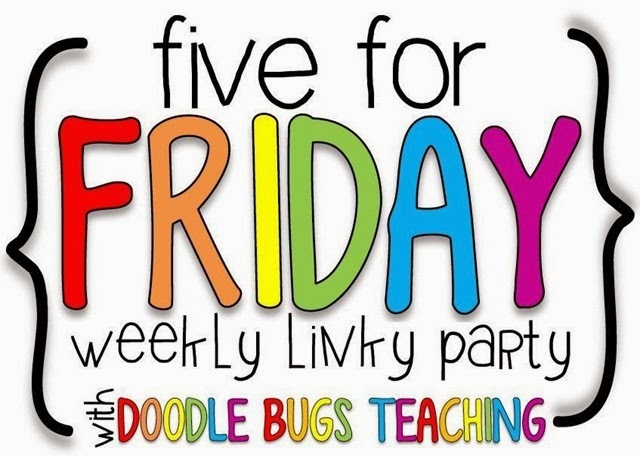 or just click on one of the links below to find more Bright Ideas by grade level. 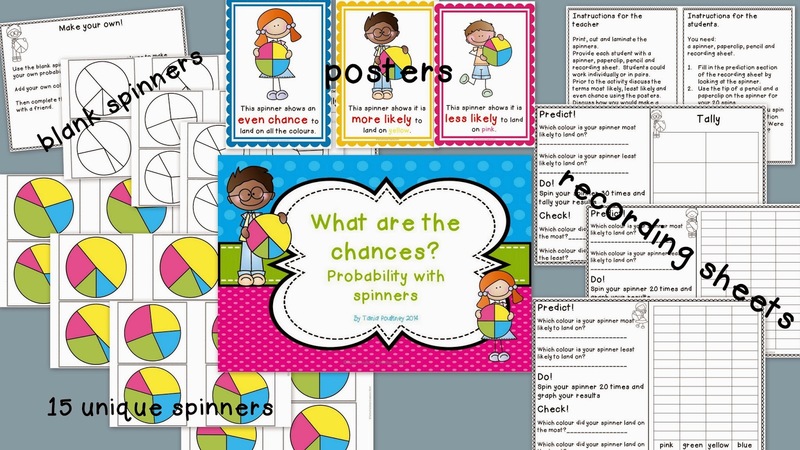 Probability is more likely to be one area of maths that I struggle with (oh and fractions) when I am teaching. Ha ha, did you see what I did there? So here is what you get and how you use it. This set has 15 unique spinners that all have varying sections of the colors, so if you put your kiddos working in pairs or used this as a center you would have enough spinners for each child to get a different spinner. Kiddos have to predict what color will come up the most, and the least, then spin the spinner 20 times and record as a graph or tally. Lastly they have to check if their prediction came true. There are four posters included in this set (I have also added an impossible and possible poster to this set since making it) which would be great to generate discussion around the language used and the reasons behind their predictions. I would hang these posters in the center as a reminder. I have also included the English/Australian spelling of colour and the American spelling of color. Finally I have also included a blank set of spinners for your kiddos to make their own as well as a blank recording sheet, they could go beyond colors and put in pictures, numbers or anything they want! There are instructions included for both the teacher and the students. I think you are probably going to love this, (see that, did it again, heehee) so I have put it up for 50% off for the first 24 hours, just click on any of the pics above to get your copy. 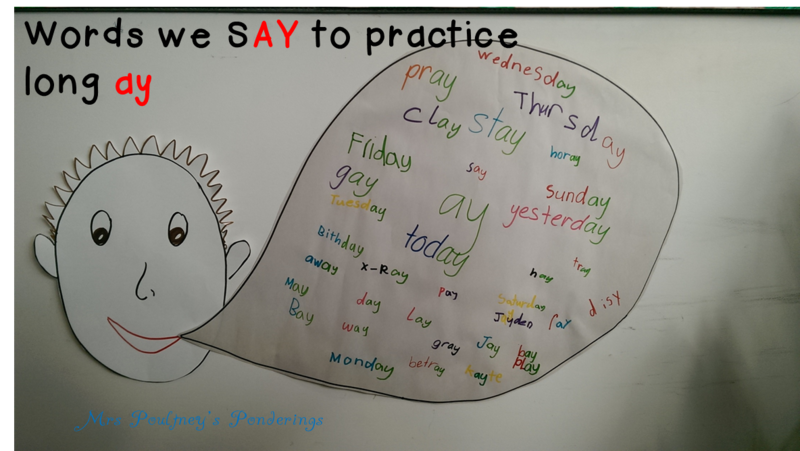 Anyway, this week we are still looking at long a but this time with the 'ay' focus we made a list of words that we KNEW had the ay sound, then went to find more! We recorded our new findings on this speech bubble because these are words we SAY The kiddos are loving the charts we are making to help them remember their sounds. Now I will put the disclaimer in here that my original picture of a haystack with pieces of yellow paper hay to write on got wet from a child spilling a water bottle, so I had to think on my feet and create something new in about 30 seconds. I particularly like his hair, I am calling him Jay! Then we used the highlight a word sheet from Babbling Abby's Word Work Mega Pack We didn't have highlighters but my kiddo's do like to colour in! 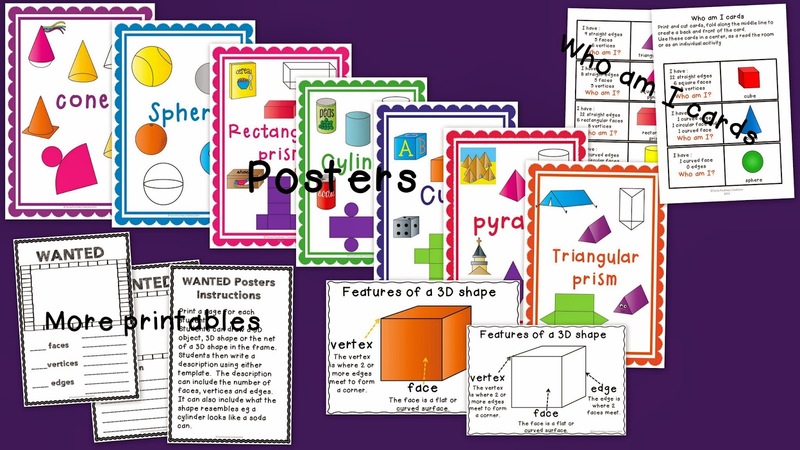 We also finished off our 3D and 2D shapes work with a little make it, label it activity. 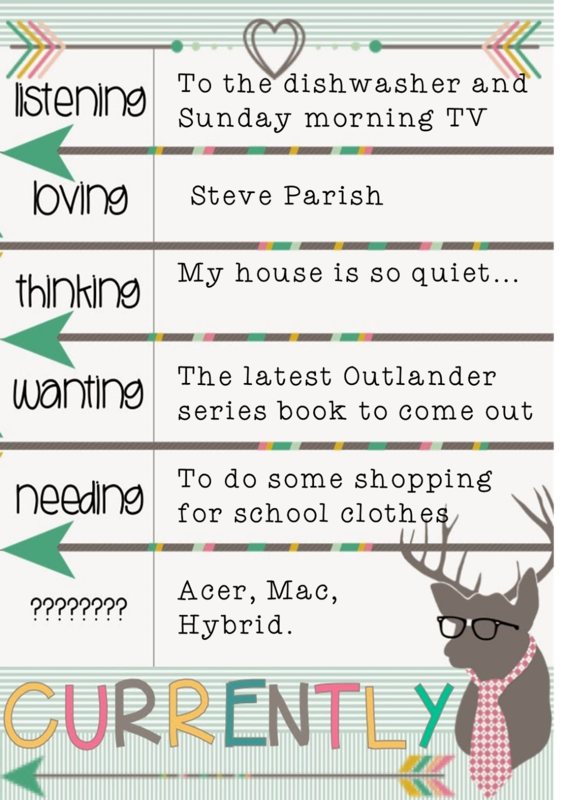 Here is a sample page from the packet I am in the process of making. Just click on the pic to download a FREE copy. I didn't get a chance to take photos when we finished as it was right near the end of the day....and it was Friday :) There is more to come so keep an eye out for my 3D packet coming soon. How was your week at school? Here is my 5 for Friday!! Did ya know there was a sale on??!! If you are quick there are still a couple of hours left. Just click on the pic to get 20% off in my store!! I am extending the sale in my store so you will get an extra day of 20% off just in case you miss it........don't miss it. 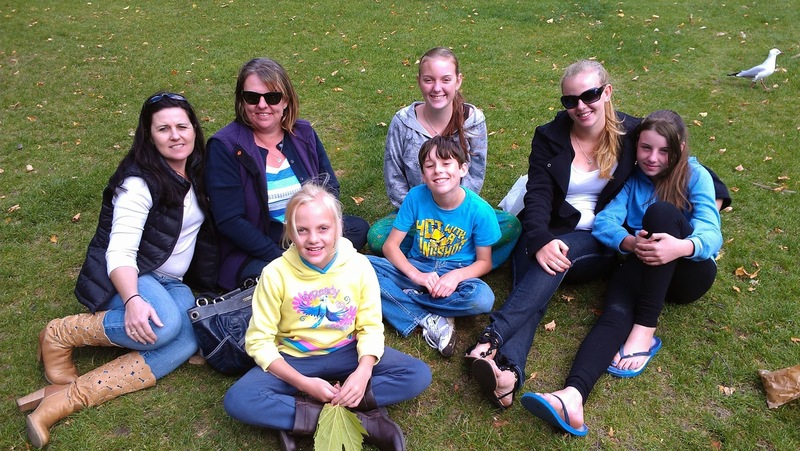 My sister and her 3 girls came for a visit all the way from Townsville. That is from the top end of the country all the way down to us in Tassie (bottom of Australia!) We had a great few days catching up and the cousins loved seeing each other. 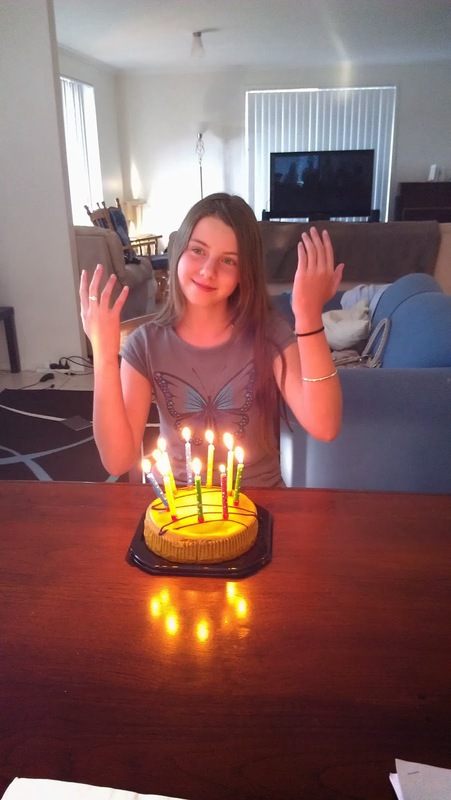 My baby girl turned 13 last weekend......where does the time go. She is showing off her gorgeous silver jewellery she got from everyone. PS don't count the candles I did not have enough so we did 10 and then 3. Just in case you thought I hadn't done any school work. 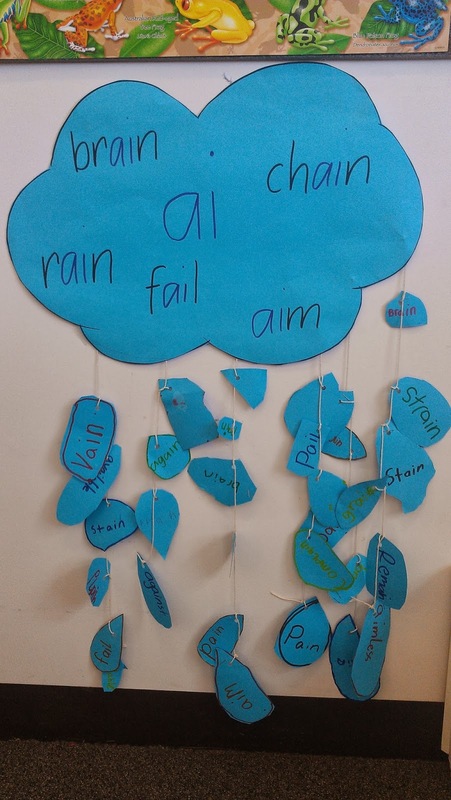 We are looking at long a sounds in our room, first we scoured books, magazines and newspapers for 'ai' words then made these raindrops to hang off our rain cloud. 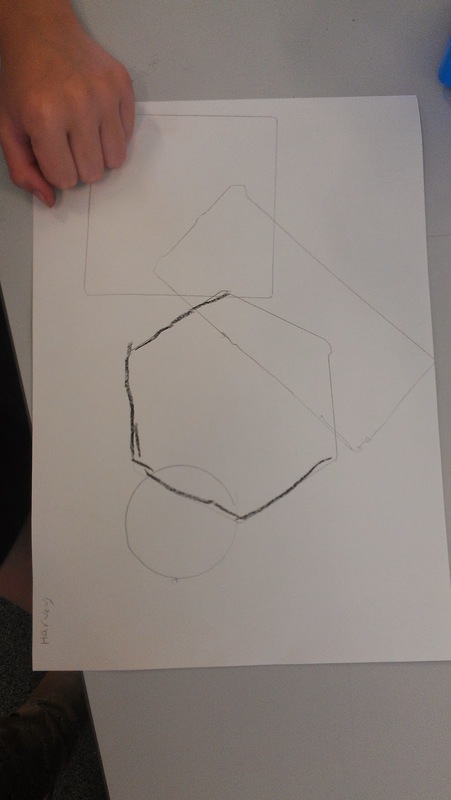 We are also looking at 2D shapes! We made some 2D shape art (I forgot to take a finished pic so I will explain what we did) After tracing a 2D shape the kiddos had to fill in the spaces they created with different patterns using wax crayons, we then put a wash over it, they looked great trust me! We also made a WANTED poster, with the kiddos choosing a 2D shape and then describing the features. Well that is my week, I am off to do some more shopping before the end of the sale!